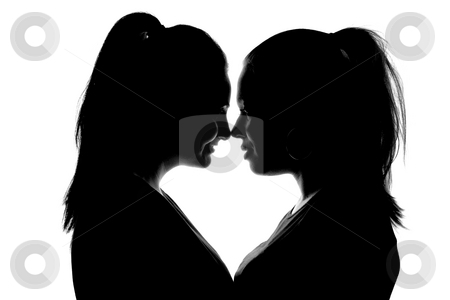 A silhouette of two women gazing into each others eyes. The composition creates a heart shape between them. Black and white isolated on white.